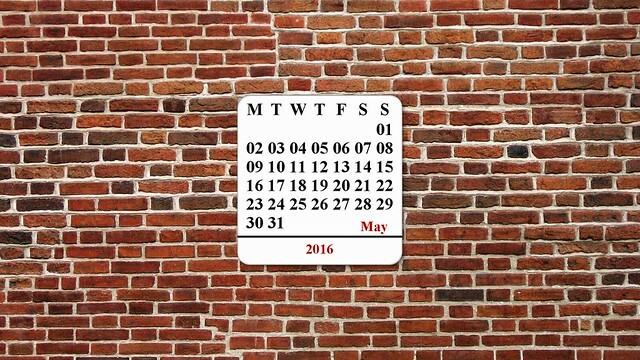 It's time for the free May 2016 desktop Calendar. I used the clone tool, different layers & layer masks to change the brick stone wall partially. Creating the centre piece in the style of Street name plates from London.